How can I help you in 2018? This is the question I keep asking myself. How can I help you? What do I have to offer that would be of value to you? What have people asked for? Thankfully many of you have been vocal. I get emails, messages and face to face requests. Many subjects are covered but ONE theme runs through them all. Over the years I have answered thousands of questions. There are nearly 1,000 blog posts on this site alone! Yet, it still isn’t the same as being able to ask your question face to face. The ‘back and forth’ of a normal, natural conversation is missing when you read the answer. I’m looking to improve this system in 2018. With your help, your input and your feedback I would love to solve this challenge. The first two ideas I have are online workshops and One-on-One Coaching/Mentoring calls. Please, click through to read more about either one and then give me some feedback at westfallhorsemanship@gmail.com. My clinic schedule for 2018 is nearly ready to publish…but a little quick math reveals that there will not be many spots to ride with me. I limit my clinics to 4 people (yes, only four) so that we can accomplish a lot…but it really limits the number that can ride with me during the year. I love teaching. I love helping people and horses…and want to help more of you in 2018! I’d love to hear your feedback. Lets finish 2017 strong and BOLDLY move into 2018! 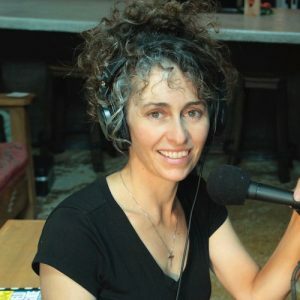 Intersted in a coaching/mentoring call with Stacy? Click for more info. We will be staying at cowboy larrys. Susan (and Chloe), Thanks for the invite! I’m scheduled to be at a reining show that weekend but I do want to ride Hocking Hills sometime. Will you be up at Mohican this summer? Hi, Stacy. I would love to know if you received the copy of my memoir At Home on a Horse in the Woods that I mailed you, if you have read it, & what you thought of it – if your busy schedule allows. Thx! Shift your mindset around what your horse is saying to you. It is the foundation. Without it your timing will be off. Without it your results will be inconsistent at best. Are you doing too much? Or too little? Is he confused…or testing you? Is he missing his buddy…or disrespecting you? Is he mad…or in pain? Is he afraid…or feeding off the timing of your release? Is he anticipating to be helpful…or out of fear? Does he trust you…or is he tolerating you? 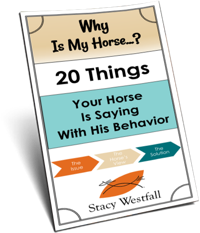 Join Stacy as she illustrates each of these situations and discusses how she reads a horses body language. 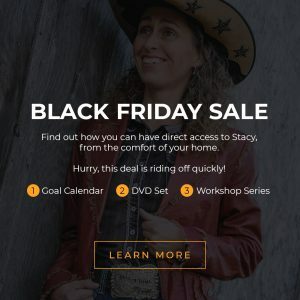 The step by step approach that Stacy uses will give leave you understanding how the pros evaluate and make decisions. 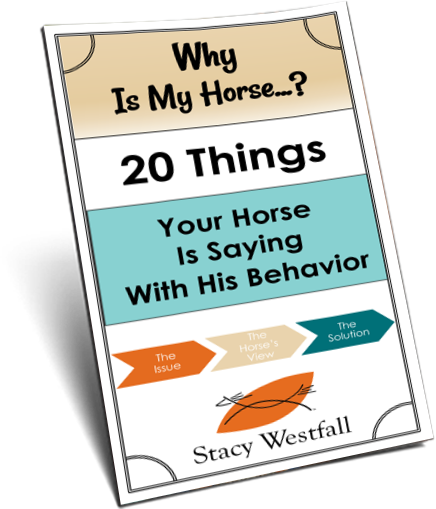 Would it surprise you to learn that Stacy has a system for reading a horses body language…and that the system changes? Would you like to learn how and why the system is used differently depending on each individual? Download the PDF outlining the process and take it to the barn. Or print a second copy and fill it out from memory to discover setbacks and different choices you could have made with horses in the past. The amazing thing about experiencing a mental shift in your thought process is that you are able to apply this to both past and future events to fast forward your understanding. Regarding the private distance coaching, what would the 300$ include ? I just wanna meet you! I’ve followed you since your DVDs came out and have learned so much. I got in line @ road to the horse to get my pix taken w you n by the time I got to where you were, you were gone. 🙁 Can you set up a booth or someway to say hi@ this year’s road to the horse, that is if you will b there. I can’t wait!! !